We had two fantastic whale watches on board the Asteria today! After a short ride out to the northwest corner of Stellwagen Bank, we saw blows all around us! These whales consisted of just about every specie of whale that we see out on the bank. There were a number of fin whales, minke whales, humpback whales, harbor porpoises and even a small harbor seal that seemed to stay by our side all morning. The humpback whales we spent time with slept right through the whale watch, a behavior referred to as logging. Appearing very much like three logs, these whales floated side by side as they periodically surfaced for air. Between naps, they gave us spectacular looks of their flukes. We were able to ID the trio as Cajun, Shark and Pepper! This afternoon, we again spotted fin and minke whales. The trio of humpbacks had woken up and were quite active. Cajun caught our attention from far away with some flipper slapping. Once we got closer, she flipped on her back and displayed some powerful tail lobbing! 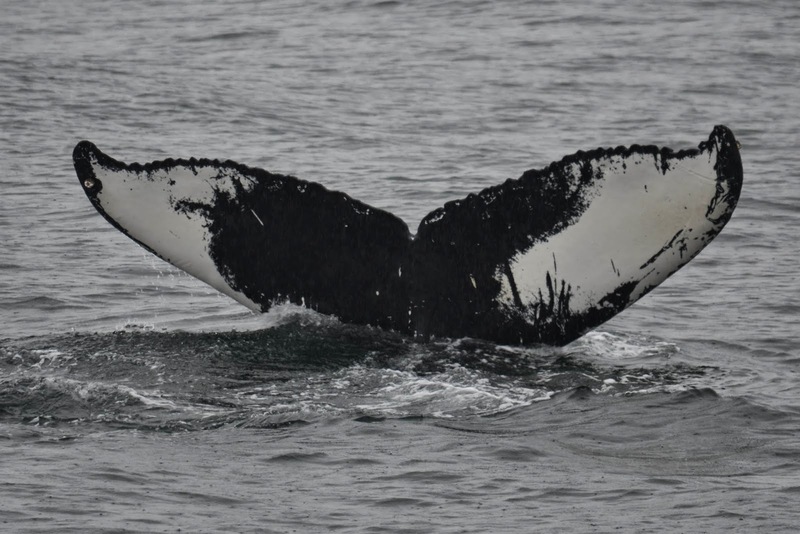 Two additional humpbacks that appeared to be juveniles came through the area as well. We spent quite a bit of time with them but were unable to ID them because neither were fluking while diving. This is the first time Pepper has been spotted on the bank this season! Pepper was notably the second humpback of our population to be named and cataloged back in 1976. Before the Gulf of Maine humpback catalog was what it is today, consisting of hundreds of individuals, first there was Salt and then there was Pepper! 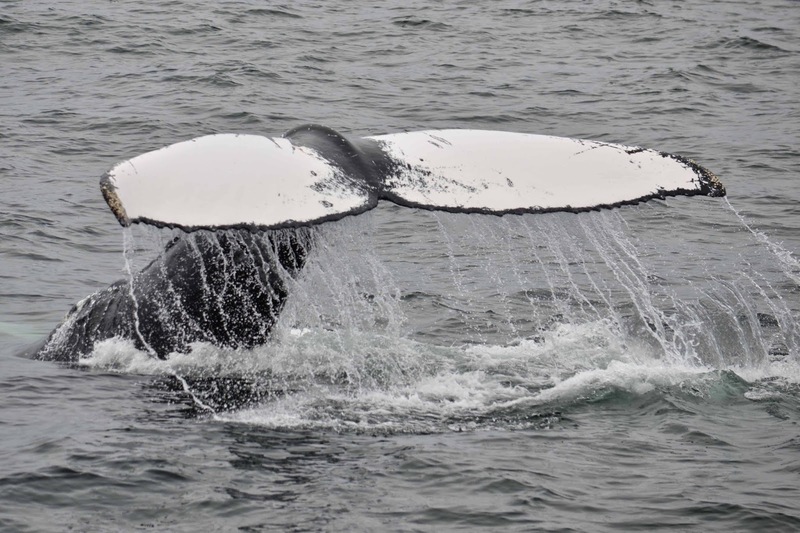 Both whales still frequent their familiar feeding ground every spring and summer. It was amazing to see so many animals out on the water in just one day. The activity today was definitely a sign of a great season to come!